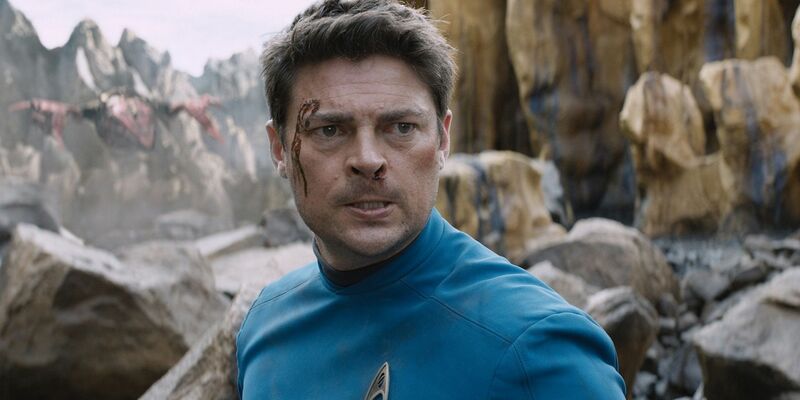 Star Trek Beyond, the third film in the rebooted Star Trek series (and the 13th movie, overall), is finally upon us, and it's faring strongly with the fandom. As of this writing, the film's critic and audience score stands tall at 85% and 86%, respectively, on review aggregate site Rotten Tomatoes. This is an important movie for the series, since it is the centerpiece of the yearlong celebration of 50 years of Star Trek. This celebration hich will also include a time-traveling expansion for Star Trek Online (coming to PS4 and Xbox One soon!) and the upcoming Star Trek television series, which will debut in January 2017. This is not a review, but rather a list of thoughts and musings we had during the film, with some subjective opinions thrown into the mix, as well as critical analysis of some of the bolder choices made by the movie. Beware of huge spoilers for the film. We're spoiling everything, just to be clear. 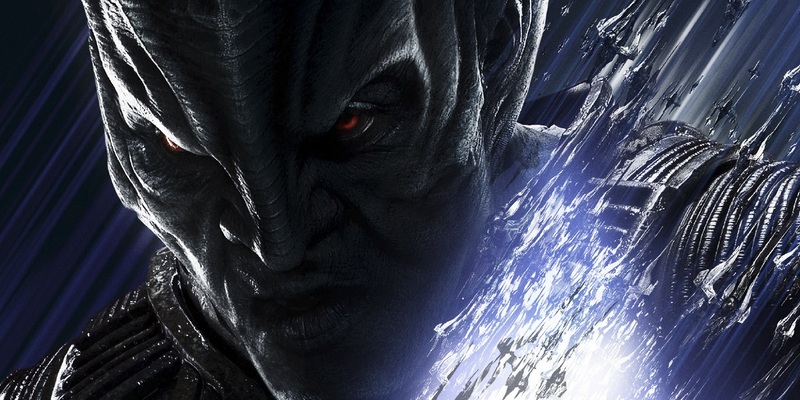 Here are our 15 Spoilery Takeaways From Star Trek Beyond. Star Trek fans hoping that the new film would be a drastic departure from the action/adventure spectacle of the previous two films: prepare to be disappointed, especially by the first half of Beyond, in which the crew splits up into teams of two and embarks on Indiana Jones-style action-adventure vignettes until they are reunited for the grand finale, which involves still more action. Overall, this is an even more action-packed film than the previous two films, even 2009's Star Trek, which was basically a dry run for J.J. Abrams's take on Star Wars. There's nothing wrong with being an action film, especially with the hot young cast of these films; it's not a case like in Star Trek: Nemesis, where an already-ancient Patrick Stewart was getting into embarrassingly slow-paced fist-fights with Tom Hardy. This is a cast tailor-made for massive stunts and high-octane action. For better or worse, Star Trek films in the 21st century are an action spectacle, and that's something we'll all just have to live with. The first Star Trek reboot film was all about Leonard Nimoy (old) passing the torch to Chris Pine and Zachary Quinto (young), and there wasn't much time for Star Trek's classic brand of allegorical storytelling or real-world applicability. Star Trek Into Darkness, rather than sending the crew out on their five-year mission, dangled the prospect of deep space exploration like a carrot on a stick while telling a rehash of the Khan story from "Space Seed" and Star Trek II: The Wrath of Khan. The movie remains a hugely polarizing topic of discussion for Trekkies, but most agree that it lacked the sense of discovery that a fresh new take on Trek so desperately needed. 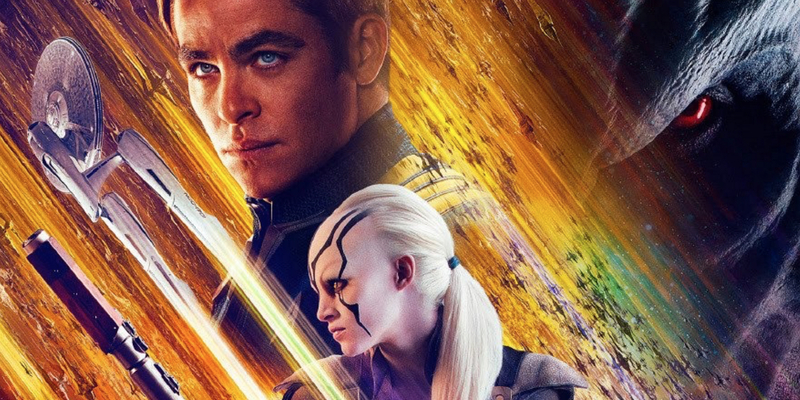 Star Trek Beyond finally takes us to strange new worlds and puts our heroes in peril against a mysterious new enemy. Essentially, it plays like a mega-budget version of one of the more action-packed episodes of The Original Series, with a story rooted in the struggle between war and peace from which modern America seems unable to escape. Fun fact: in Gene Roddenberry's earliest pitches for the original Star Trek series, the action was to be set aboard the USS Yorktown. Eventually, the name was changed to Enterprise, in part due to the real-life nuclear-powered aircraft carrier from the era, which went on to play a key role in Star Trek IV: The Voyage Home. As a character, new villain Krall is both a hit and a miss. He starts out too mysterious, not unlike "John Harrison" in Star Trek Into Darkness, but it takes way too long for his true motivations to come to light. Until then, he's just too generic of a character to carry the conflict of the film, especially since we don't learn what he wants with the mysterious artifact until after he finally retrieves it. However, once we learn who he is, it's a real game-changer, injecting fresh life into the last third of the film. Krall is actually a Starfleet captain whose ship wound up lost in space, and who harbors resentment towards the Federation for what he perceives as their failing him. He's still undoubtedly a villain, but his grievance is genuine and heartfelt, and more than a little reminiscent of Khan, as played by Ricardo Montalban in "Space Seed" of The Original Series and Star Trek II. Khan and his people were soldiers, but who, when introduced to the 23rd century, were unable to adapt to peace. Eventually, Kirk decides to maroon the one-time war criminal on Ceti Alpha V. Shortly after this, Ceti Alpha VI exploded, leaving V a harsh and desolate wasteland. Khan had a legitimate bone to pick with Kirk and the Federation, an organization which did, in fact, fail him in the same way which Krall accuses the Federation of failing him. Regarding Krall and his motivations, the biggest problem with them, and with the film as a whole, is that it takes too long to get smart, instead meandering around being a dumb action movie until we've just about had enough. It's a problem that has plagued the reboot series since its inception and, though the films have progressively gotten more intelligent, they've also held on too tightly to their blockbuster theatricality. Krall is a fascinating character, but it's not until the end that we discover his motivations, after ninety minutes or so of our antagonist being a one-dimensional cartoon villain who says mean things and commits heinous acts without proper context within the film. Likewise, the setting of the story: a mysterious planet hidden within a volatile nebula, contains many secrets which are never expounded upon, such as the "bees" that Krall uses against Enterprise and the bioweapon he plans to use to wipe out Starbase Yorktown. Both of these plot points are rapidly glossed-over in Beyond's never-ending race to the next action sequence. After going deep into uncharted space to investigate a distress signal, the Enterprise is immediately set upon by a fleet of ships that resemble a swarm of bees. In fact, new character Jaylah even refers to them as such. They possess the remarkable ability to completely bypass Enterprise's shields and Chief Engineer Montgomery Scott quickly concedes that there's nothing he can do to stop her from being completely torn apart. After separating from the body of the ship, the Enterprise's saucer crash lands on the planet, where it is eventually used in a stunning action sequence, in which Kirk and Chekov slide down the outside of the hull while it is flipped upside-down by its own thruster power. It's bittersweet to see Enterprise broken and destroyed, but still performing maneuvers that most would dismiss as impossible. In the last scene of the movie, the crew is given a new ship, Enterprise-A, echoing the original timeline, in which (in the third film, no less!) Enterprise is destroyed, and, at the end of the next film, replaced with the Enterprise-A. 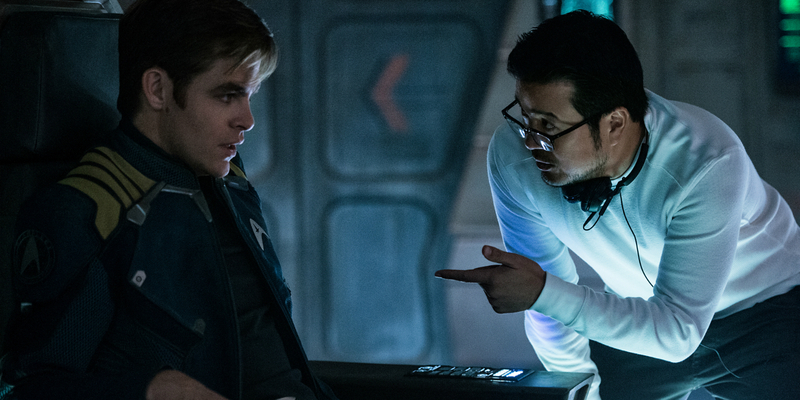 When Justin Lin was first announced as director for Star Trek Beyond, some corners of the fandom let out a groan of displeasure. Their fears weren't assuaged by the overly action-oriented debut trailer, which made it look like the franchise had abandoned all pretense of being remotely interesting for dedicated Trekkies. Subsequent trailers made up for the unwelcome action focus by showing off more dramatic sequences between Kirk and McCoy, but skepticism still ran high among Trek fans who feared that Star Trek was officially no longer theirs. It seems easy to blame the endless action-adventure spectacle of the film (particularly its first half) on Lin; after all, the man directed four Fast & Furious films, including the one where Vin Diesel flies out of a car and catches Michelle Rodriguez in midair before landing on another car. Still, we're more confident that Paramount hired him so that he could make the kind of big-budget, crowd-pleasing popcorn movie that they wanted. In fact, we'd bet that it's because of him (and co-writer and devout Trekkie Simon Pegg) that there's as much Star Trek fan-service and philosophy in the film as there ultimately is. Star Trek: Enterprise was the final Star Trek television series to air on the UPN network, and its cancellation after only four seasons ended a nearly two-decade run of uninterrupted Star Trek on television. However, due to being a prequel to The Original Series, it's the only series that's officially canon in both the original timeline and the reboot timeline. In Beyond, the crew loses their beloved Enterprise, but finds the USS Franklin, an NX-Class ship, just like Archer's Enterprise, complete with a similar bridge, uniforms, and a nigh-identical transporter room. Scotty makes mention of the ship's archaic weaponry and polarized hull (instead of shields), elements which all came from the under-appreciated Enterprise series, and during one of Krall's dramatic speeches, he mentions having gone to war against the Xindi, which was the focus of Enterprise's third season. We are always expecting nods to unexpected corners of Star Trek lore, especially for the franchise's 50th anniversary, but for it to be so bold as to set much of the finale of the film on none other than an NX-Class ship brought joy and warmth to our cynical hearts. When the crew finally gets together on the Franklin, the movie seriously shift into high-gear. Before that, they're split into pairs, with varying degrees of success. Kirk and Chekov do alright, not so much due to their banter-- of which there is little-- but because they find themselves in the most engaging set-pieces, like the aforementioned sequence on top of the wreckage of Enterprise's saucer. Meanwhile, Sulu and Uhura are stuck playing hostage to Krall. This setup had the potential to be the dramatic core of the movie, the setting for all of the themes and characterization while the non-stop action-adventure antics occur elsewhere, but instead it just means that Uhura and Sulu don't have a lot of screentime or relevance during this stage of the film. On a stronger note, McCoy and Spock fare the best in this scenario, as, since Spock is injured, they aren't forced to engage in any over-the-top action sequences. Instead, they talk to each other in wonderfully written dialogue that comes across as so authentic to the characters, it could easily have been spoken by DeForest Kelley and Leonard Nimoy. While most of Enterprise's star crew members are paired up with each other, Simon Pegg's Scotty is matched with new character Jaylah, played by Kingsman: The Secret Service's Sofia Boutella. Her character starts out very strongly, but she has a few too many cliches in her story, complete with a "you killed my father" moment with one of Krall's lieutenants (played by Sergeant Jaka from The Raid!) which serves no purpose other than to give her a big fight scene during an already overstuffed action set-piece. Still, Jaylah's no-nonsense approach to socializing makes her a great foil to the overly talkative Scotty, and the reveal of her "house" is one of the more gasp-worthy moments of the film, especially to fans of the old-school NX-Class. Her love of music will also surely prove to be a great meme ("The beats and the shouting! "), but she falls just short of being a truly breakout character along the lines of Jennifer Lawrence in Winter's Bone, upon whom Jaylah is based. The great Leonard Nimoy passed away in February 2015, with 2013's Star Trek Into Darkness being his final onscreen role. 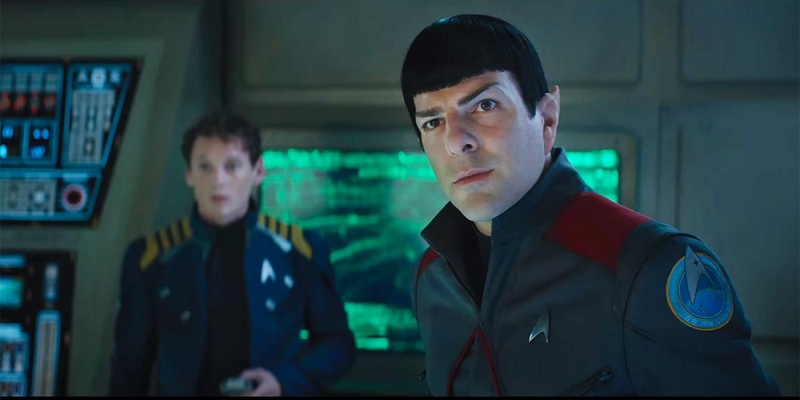 Nimoy's death is written into Star Trek Beyond in the form of Ambassador Spock's own passing, which informs much of the character arc of Zachary Quinto's younger Spock. 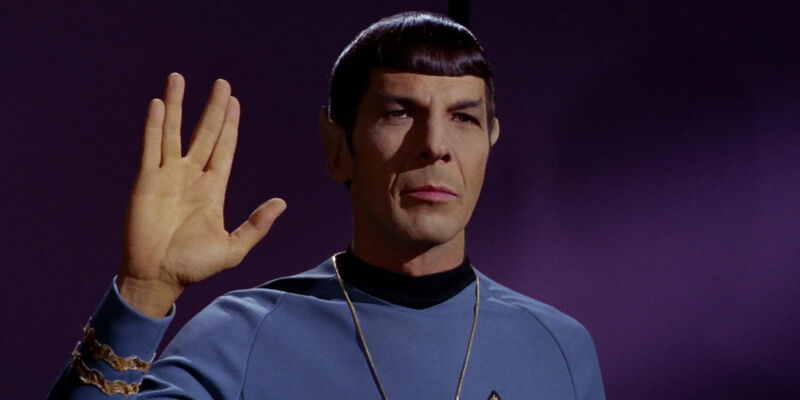 However, there is one thing that's really weird about Ambassador Spock's obituary: It makes note of his service on board Enterprise and Enterprise-A... Does that mean that he told this timeline's Starfleet of his life prior to his arrival from the 24th century? One would think that Spock would have created a secret identity, perhaps as a distant relative to Sarek (like in the legendary episode of The Animated Series, "Yesteryear"), but it has stardates and everything. Perhaps he concluded that this alternate universe was so different from the one he had come from that knowledge of the original timeline's future would prove meaningless in this new timeline. We think Spock would find our theory to be logical, if a bit risky. This scene had the potential to be corny-as-hell and completely derail the film, but it's to the credit of the director, the integrity of the cast, and the incredible special-effects team that the Trek series' second "Sabotage" sequence doesn't fall flat on its face. It's actually a huge show-stopper that kicks off the movie's finale. The survivors of the Enterprise, riding in a hundred-year-old derelict ship, have to take on a mammoth fleet of small ships that effortlessly took down Enterprise in the film's opening act. 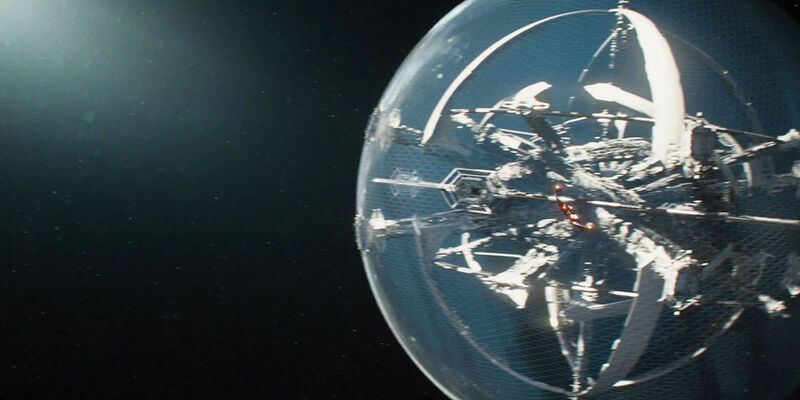 The crew puts their heads together in a great brainstorming scene and comes up with a plan to disrupt their hive-mind using radiowaves, causing the thousands of ships to crash and explode, nearly instantaneously. Jaylah is in charge of picking the music, and she chooses "Sabotage" by Beastie Boys, which had also been used in the 2009 film. It's great to know that in a universe filled with photon torpedoes, disruptor rays, and long-range phasers, the most powerful weapon for taking down a seemingly-indestructible foe is still the righteous power of hip-hop. While Krall's grievance with the Federation doesn't come into discernible prominence until the film's closing chapters, his disdain for the peace-loving ways of Starfleet really elevates the film's final battle. Kirk and Krall engage in old-fashioned hand-to-hand combat, but they also spar with their words. In this respect, the film successfully has it both ways, integrating the physical action of the Spock vs Khan battle from Into Darkness with something resembling the verbal battles between Kirk and General Chang in Star Trek VI: The Undiscovered Country. The previous two Star Trek movies had given bare lip service to the ethics of Starfleet, but when Kirk says, "It's better to die saving lives than to live with taking them; that's what I was born into," it's powerful, because that's what Starfleet and the Federation represent. 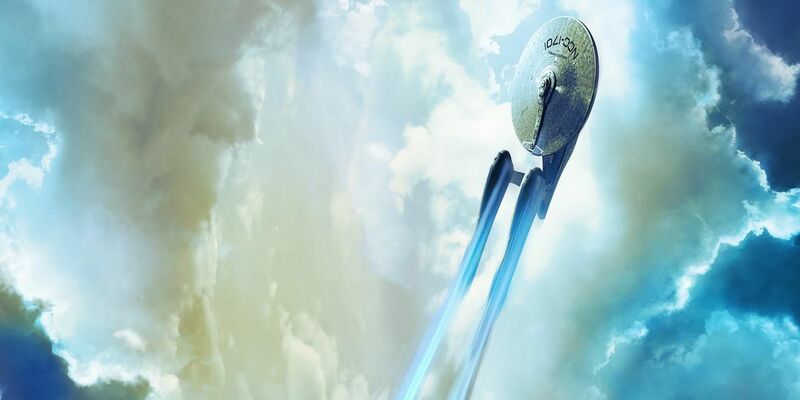 It could be a snicker-inducing line to some, but to Trekkies, who know that peace is a prerequisite for true human progress, it means a lot that Star Trek Beyond, even within the context of a high-octane action film, hasn't lost sight of what Star Trek is truly about... It just takes its sweet time getting there. Star Trek Into Darkness got a lot of flak for indulging in too much Wrath of Khan fan-service, from Spock screaming Khan's name in rage, to Kirk's "death" mirroring Spock's from Wrath of Khan, right down to certain lines of dialogue. Some people enjoyed the hat-tipping, but others thought that Star Trek Into Darkness was too timid to emerge from the shadows of its legacy. 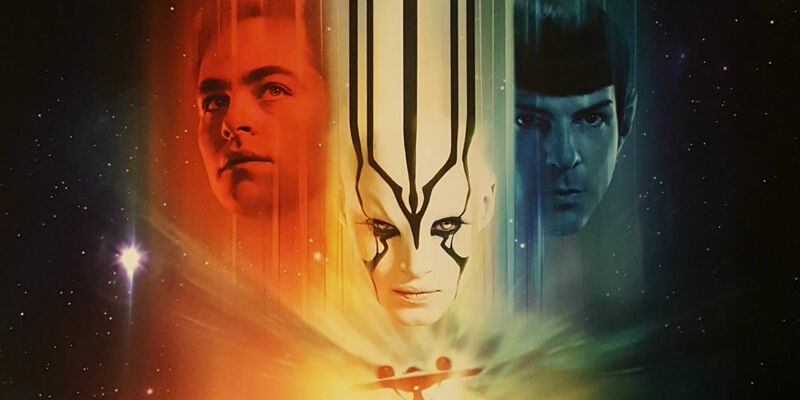 Star Trek Beyond, while boldly going to corners of the galaxy unseen in prior Trek stories, also takes the time to slip in a strong homage to one of the most beloved science fiction films of all time, Star Trek II: The Wrath of Khan. The film is set around Kirk's birthday and Kirk shares a drink with McCoy while lamenting about his age. 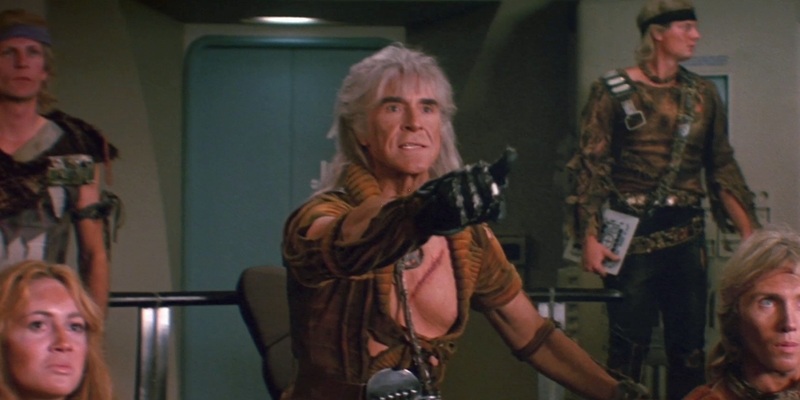 In Wrath of Khan, it was his entry into middle age, while here, it is that he will be older than his father was when he died. It's an effective scene, and proof that allowing the film to stop and breathe can bring out the best in the story and the actors. Finally, the film ends with Kirk delivering a toast, "To absent friends." In Wrath of Khan, it was to the many people who had died under Kirk's command over the years, but to Spock in particular. This time, Kirk toasts to the crew who were lost on the mission, to the Enterprise herself, with a meta-level of the film toasting Trek actors Leonard Nimoy and Anton Yelchin, who died recently. Chris Pine's acting during these scenes is nothing less than haunting, and we hope that future films will allow him to engage in verbal drama as often as brutal fisticuffs. Each of the three films in the rebooted Star Trek series have ended with the recital of the Captain's Oath, or the opening narration from The Original Series and The Next Generation. In the first, Spock delivered the passage, after having first said the words posthumously in Star Trek II: The Wrath of Khan. For the ending of Into Darkness, Kirk spoke the oath as part of a speech he was giving upon Enterprise's re-christening. True to Beyond's theme of unity and teamwork, Captain Kirk begins the speech, but then Spock takes a passage, and Uhura brings it home with, "To boldly go where no one has gone before." Uniting and working together to better the universe, not against a common enemy, but against all societal problems, and the brave frontier of new ideas and cultures is what Star Trek is about. It's why the brand has endured for fifty years, and will surely stand tall for hundreds more. Did you love Star Trek Beyond? Did you hate it? Did you like some things but take umbrage with others? Tell us what you think, and sound off in the comments below!